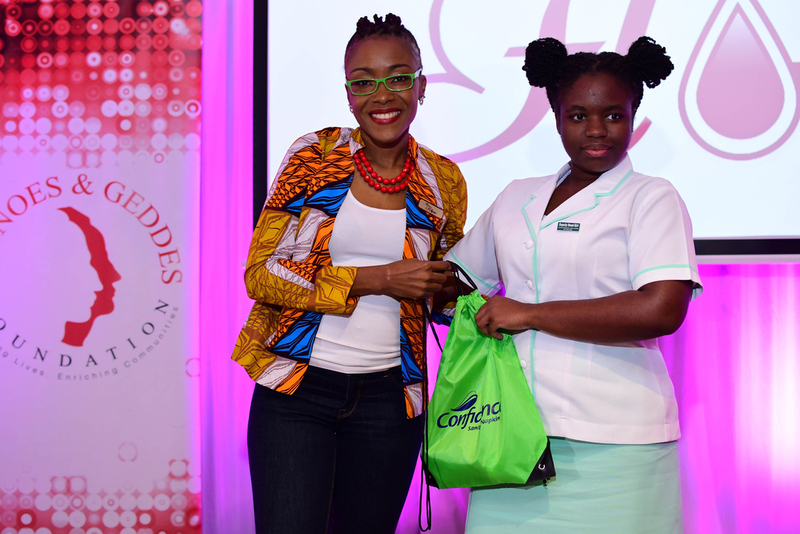 Shelly Ann Weeks, founder of HERFlow Foundation (left), presents a goodie bag courtesy of Confidence Sanitary Napkins to Ashli Bailey, student of Lister Mair Gibly School for the Deaf at the Writing HERStory youth empowerment conference. 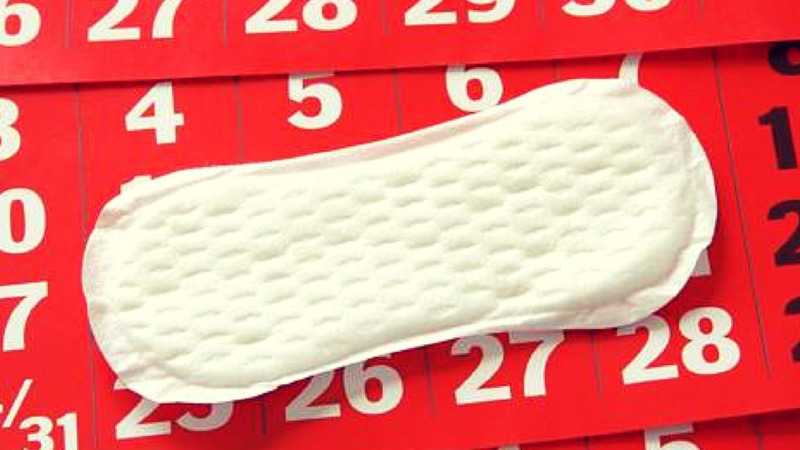 Growing up can be exciting, especially for a young girl blossoming into a teenager. She embraces the changes that come with new opportunities and looks forward to new experiences. It’s no different for 14-year-old Mckayla Fitzgerald, a student of the Lister Mair Gilby School for the Deaf, who attended the recent Writing HERStory Conference at the Institute of Jamaica. “I love to learn, and I enjoy learning new things about myself every day. I work hard and I always try to do my best, so I am excited about what my future holds. Having hearing challenges will not stop me from living my dream,” said Fitzgerald through a sign language interpreter. 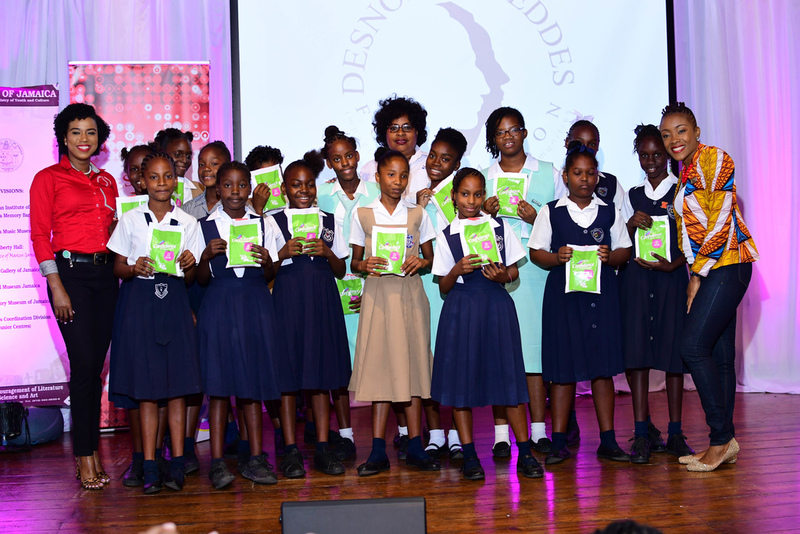 The teenager and about 20 schoolmates participated in the conference, which was put on by the Shelly-Ann Weeks led HERFlow Foundation in collaboration with the Desnoes and Geddes (D&G) Foundation. The conference brought together more than 100 girls from five schools for an empowerment experience, which also focused on menstrual education and personal development. “This event was a good experience because I got to learn about the stories of other girls my age which confirmed that I am not alone on this journey. I also found it inspiring when the D&G Foundation members shared their experiences. They encouraged me to work hard so I can be successful and a good leader. I will definitely share the information I received here with my friends and family,” noted Fitzgerald. Tyheissa Williams, Desnoes and Geddes (D&G) Foundation member (left); Edith Kahn, nurse at Confidence Sanitary Napkins Limited (centre); and Shelly Ann Weeks, founder of HERFlow Foundation (far right), join students from St. Alban’s Primary, St. Andrew Primary, Dupont Primary, Lister Mair School for the Deaf and Holy Trinity High School. Ten-year-old Ameika Aris from Dupont Primary and Infant School shared similar sentiments. Although she is uncertain of her professional path, she believes she will be successful in her endeavours, having been motivated by the conference presenters. 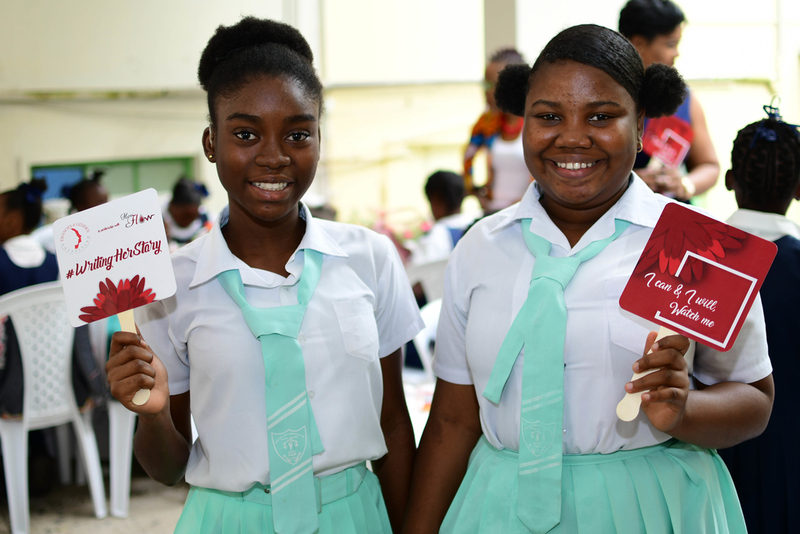 (L – R) Mckayla Fitzgerald and Kalea Williams from Lister Mair Gilby School for the Deaf pose with their affirmation fans at the Writing HERStory Conference held at the Institute of Jamaica. Students from St Alban’s Primary, St. Andrew Primary and Holy Trinity High School also attended the conference, which included an educational tour of the Institute of Jamaica and lunch. To help boost their productivity, each student received a thumb drive and stationery from the D&G Foundation as well as a sanitary napkin kit courtesy of Confidence Sanitary Napkins. “One of the cornerstones of the D&G Foundation is youth development and a primary way that can be achieved is through empowerment. It is necessary for our young girls to be educated so they can be inspired to do their best. 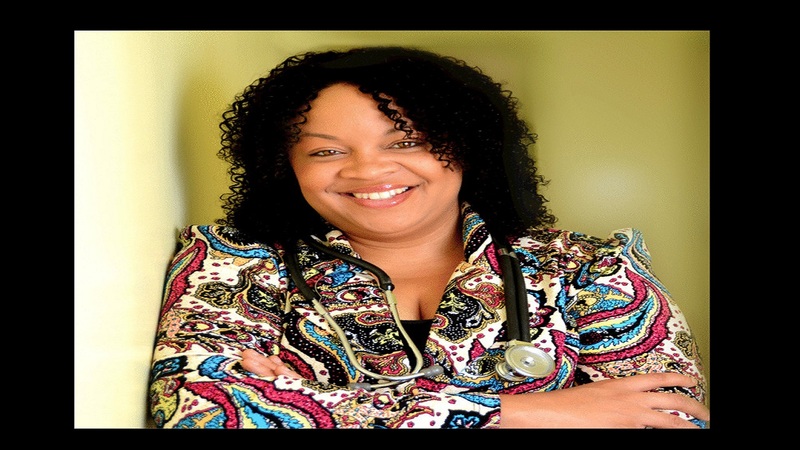 By equipping them with this information, they can make better decisions and become a positive influence among their peers,” said Tyheissa Williams, D&G Foundation member. The initiative allowed volunteers from the D&G Foundation to share their experiences of becoming a woman. By connecting with successful women, the students felt motivated to chase their dreams. 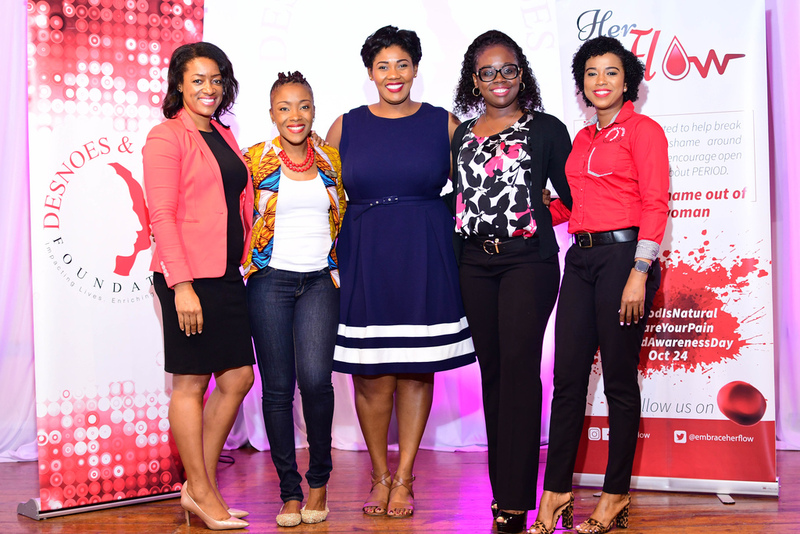 [L – R] Shelly Ann Weeks, founder of HERFlow Foundation (second left), poses with Desnoes and Geddes (D&G) Foundation members Jacqueline Cameron (left), Stacy-Ann Smith, Reshima Kelly and Tyheissa Williams. “This was a great way for us to celebrate Women’s Month. The ladies from the D&G Foundation and I shared our stories of growing up and how we got to our current place of success. It was also appropriate to empower girls about their reproductive health and rights in an interactive way. 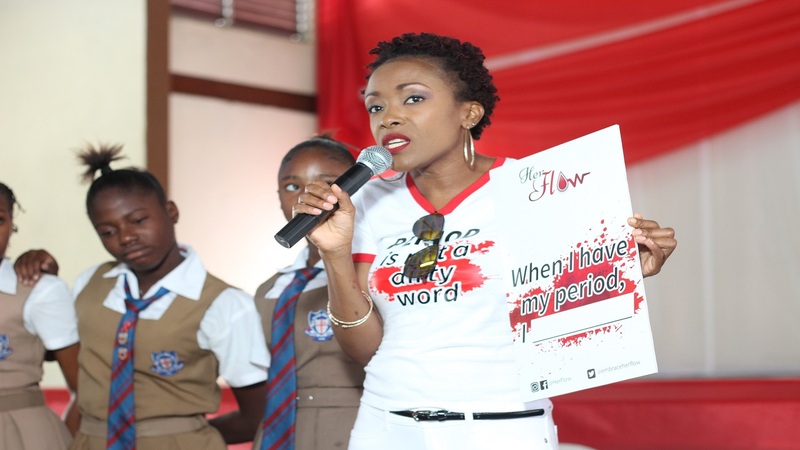 In doing so, we became role models to the girls who engaged us in conversations about our career, how we overcome challenges and about menstruation,” Weeks, founder of HERFlow Foundation.